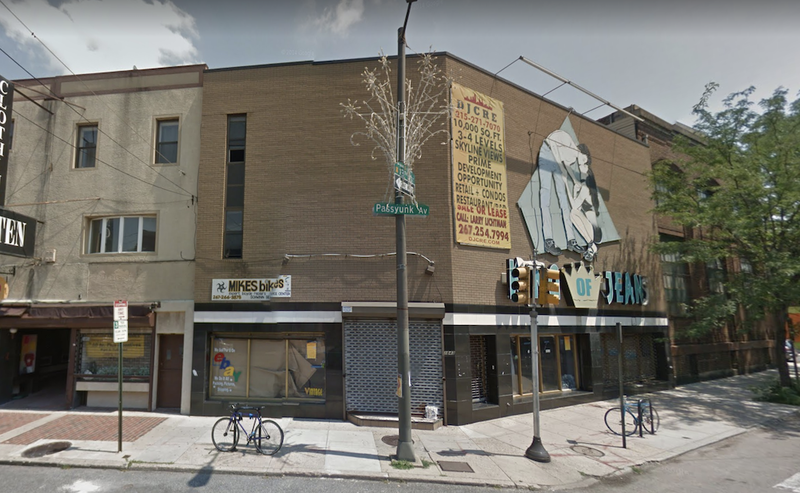 It’s been a long and winding road for 1843 E. Passyunk Ave. over the last half dozen years or so, so much so that there’s surely a whole contingent of people that don’t even remember that King of Jeans and its amazing sign called this address home for many years. The old building was demoed back in 2015, but we first wrote about it during the summer of 2011, when it was listed for sale for $800K. At the time, we noted that the list price seemed too high, but sure enough, a developer ponied up $750K about a year and a half later. Once that happened, the clock started ticking on this Passyunk Avenue landmark. But as we’ve told you before, things didn’t move forward in a linear fashion for this property after it sold. The initial plan called for a mixed-use building with 12 units and ground floor retail. The plans evolved some, with the subtraction of three apartments and the addition of second floor office space. Those plans ultimately fizzled and in 2013 Rockland Capital bought the property and came up with a plan for sixteen apartments above retail space, but the ZBA said no dice. By the end of 2014, a revised project with twelve apartments, second floor office space, and ground floor commercial got approval from the ZBA. That takes us up to the old building’s aforementioned demolition in 2015, with construction only really getting started in late 2016. Finally, the building was finished this summer, with some apartments still available for lease at this time. From what we can tell, the retail space on the first floor of the building is also still available for lease. MSC Retail has the listing, advertising 2,500 sqft of interior space, 1,000 sqft of basement space, 15′ ceilings, and 58′ of frontage on Passyunk Avenue. 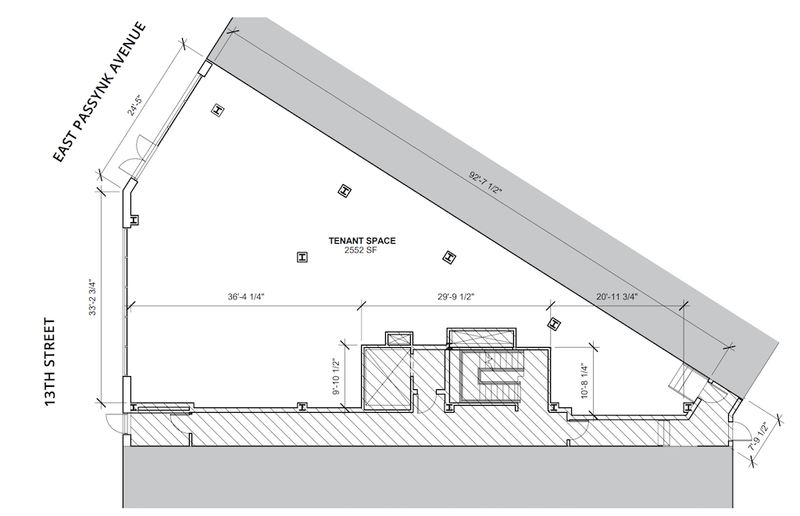 The brochure includes a floor plan of the retail space which shows its triangular shape. It’s this shape that made developing this building rather complicated in the first place, and will surely result in some creative use of space from whatever business ultimately leases the space. While we’ll obviously keep an eye on what business will ultimately join the Passyunk Avenue corridor at this location, we’re perhaps more keenly interested on whether this new building will have an impact on future development in the area. 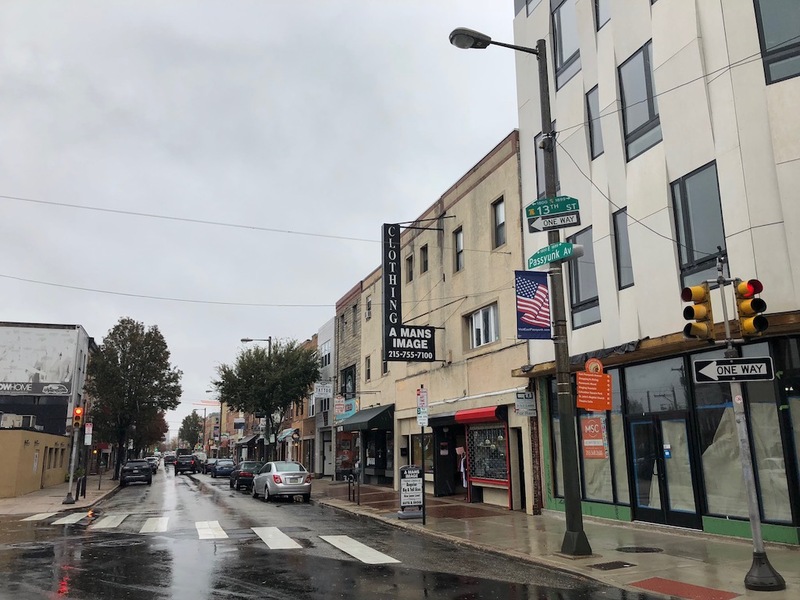 The five-story structure is taller than every other building on Passyunk Avenue that comes to mind, and its scale and density provide some hint at to what works financially for mixed-use development on this corridor. 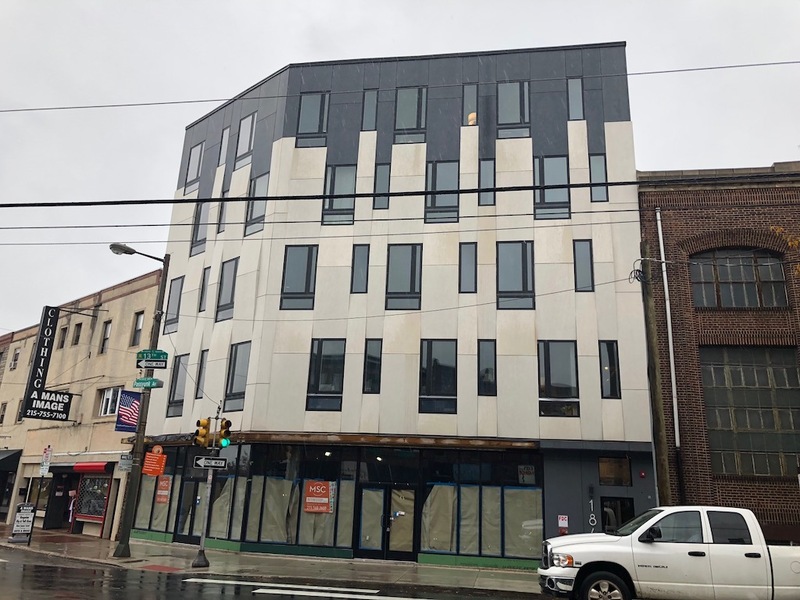 With most of the corridor remapped to CMX-2.5, it’s very likely that this tall new building won’t stand alone for very long, as additional projects on Passyunk can go up to 55′ of height as a matter of right. But for now, the new building casts a unique shadow on the corridor, both literally and figuratively. Interesting concept, terrible execution. I give this facade a few years before it needs to be replaced. It’s 1843 East Passyunk not 1834. Are any of the residential units actually occupied yet? The building still looks very vacant and unfinished and I haven’t seen any work being done there for quite some time. Is this project really complete? It definitely seemed to stall for months and months, looking near finished but incomplete and empty. Admittedly I haven’t been by in over a month. This is a big improvement over what was there and much of Passyunk, which is full of crappy, cheap facades. You may not like the look, but it’s definitely an upgrade.